In 2014 the passage of Proposition 47 brought additional funding to California public schools, with the explicit purpose of supporting vulnerable students, keeping them in school and out of the school-to-prison pipeline. Coupled with LCFF and other investments that districts make to reduce chronic absenteeism and engage students in their learning, these resources can help close opportunity and achievement gaps for underserved students. 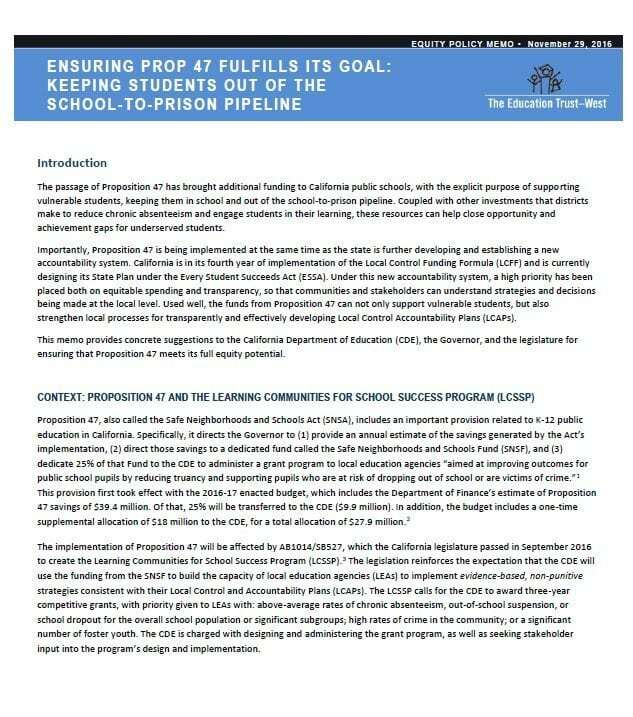 For more on how we can ensure Proposition 47 fulfills its promise of keeping students out of the school-to-prison pipeline, read our policy memo below.